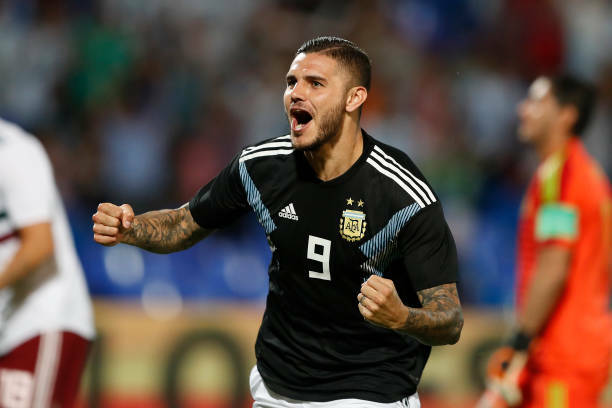 Inter Milan striker Mauro Icardi said there is an atmosphere in the Argentina camp like never before after scoring his first international goal. Icardi scored for Argentina during Tuesday’s 2-0 win against Mexico, and the Inter captain praise the sense of union established by caretaker Lionel Scaloni and his assistants. “I’d lacked a goal, I was waiting for it and now I’m happy. “It’s not easy to go without scoring. It creates a lot of chatter, but now I hope to keep going like this. “We’re a really great group, we can grow a lot and we are happy with the work of Leo Scaloni, Walter Samuel and Pablo Aimar. “Of course it will be the federation which decides their future but I can say that right now, there’s an atmosphere in the national team like never before.